Do lights and fluorescent pearls work? There are fish species that are attracted to light and other that fear light, a general rule is that fish with few enemies are more curious about light than fearsome fishes. This is not always so, this curiosity can change with geographic location and season. On this question, there is no straight answer, and use of light must be tried out where you operate. The commercial fisheries use light (light sticks and electrical lights) for large pelagic species, with improved catches. Also, research institutes in five countries in Europe (Norway, Sweden, Germany, Denmark and the UK) have purchased our electrical lights for experiments, with report of some increased catches. Pearls A pearl is a small fluorescent ball about 9x18mm placed over artificial bait. 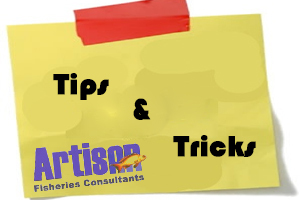 It increases the activity of small crab and shrimp around the bait that again get the attention of the target fish. Light itself can be attractive for Sea Bass and Sea Trout. Sea Breams / Snappers are interested in the activity around the light, when they are on safe grounds.